Pendant Size 1.5 x 1.5 inch pendant. See picture with penny for size comparison. Picture is an example. Yours will be similar. You are purchasing one. 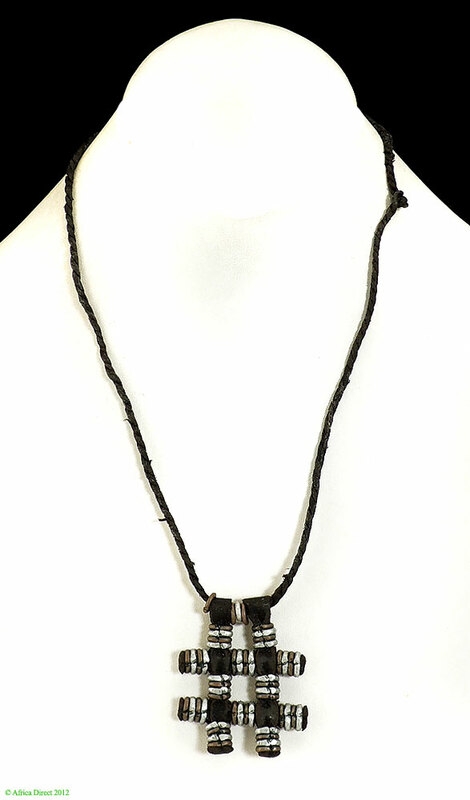 A striking portcullis-shaped necklace made by the Wodabe people of Niger. 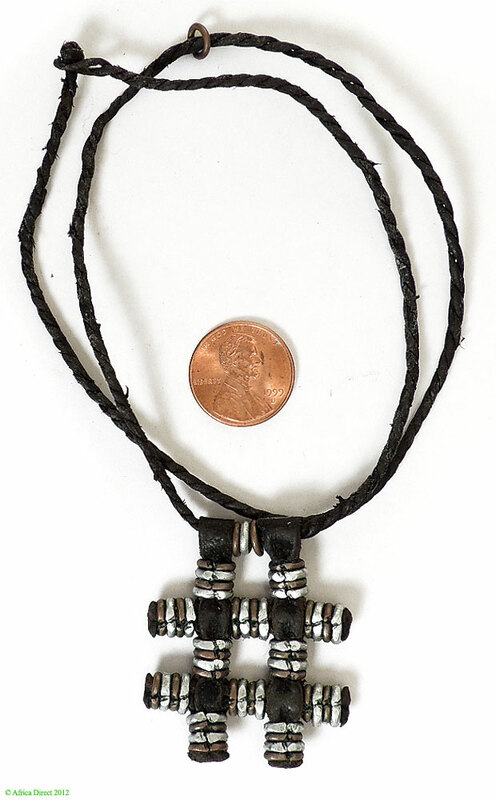 Additional information: To see other examples of Ethnic jewelry from around the world please see A WORLD OF NECKLACES (Leurquin), AFRICA ADORNED (Fisher), JEWELS FROM ELSEWHERE (Maggi,Melesi, Pensotti) and ETHNIC JEWELRY (van der Star Collection) and THE SPLENDOR of ETHNIC JEWELRY (Borel).